My relaxed and organic Newborn Photography Sessions capture the magic of your new baby in the comfort of your own home. These sessions take 2-3 hours, allowing time for comforting or feeding breaks and to get a variety of images of your baby on their own, with parents and siblings. My Newborn Sessions take place on week-days only, and they tend to book out 1-2 months in advance. Please book early to avoid disappointment! 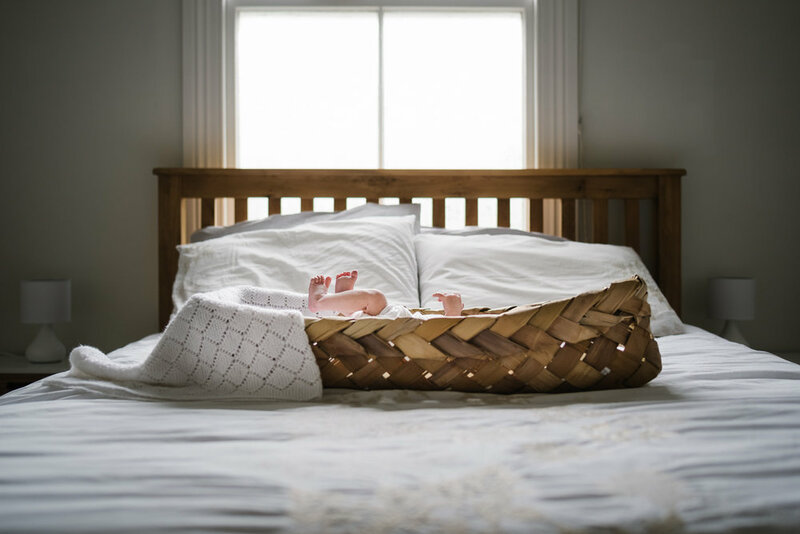 Newborn sessions ideally take place when your baby is less than 2 weeks old, however my brand of Lifestyle Photography can work well for older newborns too. Find PRICING INFORMATION here. Want an depth look at a newborn session with me? Check out some of the newborn sessions on my blog.